Self publishing is not for everyone. Although many writers self publish, some don’t have the stomach for it. Dealing with any bad reviews you might get, the expense and the amount of time you have to commit to write and promote is not for the faint hearted. There’s a weird kind of pressure that comes from within because as soon as you publish a novel you second guess every decision you make. You can’t slink into a corner and you don’t have the support of a publishing name. But if you’re excited to control every aspect of your work and don’t see giving up spare time as that big of a deal to do something you love, then I’d say go for it! Here are my top ten tips if you’re thinking of getting into self publishing. 1: Don’t publish unless your work is polished. I have completed a first draft, and to be honest, it’s pretty good. If I complete several drafts of the book myself, I’ll be ready to publish straight away. I don’t believe in reviewing my work too often because I will only ruin what I have written. If you identify with any of these statements, then you’re not ready. I don’t need to use beta readers because nobody knows my work better than me. I’m a reader so I can analyse my own work. I’m not ready to hear their criticism. Beta readers can be crucial to identify structural issues within a story. If you agree with any of the above statements, you’re not there yet. Buying your mother a cup of coffee and a slice of cake in exchange for their feedback does not count as hiring a professional. I’m talking about using editors from reputable lists. Good places to check for editors in the UK is www.sfep.org.uk In the US, www.the-efa.org is a good start. Another is a service called www.reedsy.com. You set up a profile and it allows you to connect with dozens of industry professionals in one place. I’m part of the Alliance of Independent Authors or Alli for short. Membership prices vary depending on whether you’ve published a book or are an aspiring author. It’s a great place to meet like-minded writers and learn a thing or two in the process. Self publishing isn’t just about writing, it’s also about branding, marketing, selling, product placement, setting the right price. Who is your target audience? What’s your online voice? How do you want to come across to your fans? You may not feel comfortable with the idea of handling everything yourself, but in the beginning you have to learn. Start off small and learn as you go. If you’re hiring people because you’re afraid to give social media a try, then that’s a bad business decision. Check out any author profile and you’ll see they do almost everything themselves. Go to the London Book Fair and/or Book Expo America and attend as many author-centric events as possible. Network, listen to the panel discussions. Bring a notepad and take as many notes as you can. Sure you can learn plenty from the internet, but there are real opportunities in networking. I’ve connected with some great authors at these events. Kobo and Amazon are also usually floating around at these conferences and looking to connect with authors. Wordpress.org or Wordpress.com – Great for setting up a website or blog. Wordpress.com is the free version but is also the most limited in what you can do with it. There are plenty of free templates and everything’s easy to design. Website – Domain, hosting site if using Wordpress.org, otherwise you can use Wordpress.com for free and pay a minimal fee to wordpress to host your own domain name there. Social Media – All free to set up. Choose where you want to be active. Don’t spread yourself too thin. Editing – At a minimum you should be looking at copy editing and proofreading. Depending on how well you can self edit, the cost for these services will vary. To reduce the cost, learn how to self edit well. This book is on my shelf. Virtual assistant – Only hire one if you’ve a good handle on your business and you know what you’d like a VA to do. Otherwise it will be money down the drain. Agent – Why would you hand 15% of your profits over to an agent? If they were looking at film options with a studio or foreign language deals or print deals with publishing houses. Otherwise don’t bother, and don’t let anyone talk you into taking on an agent. Remember when I said learn the business? Learn the pitfalls as well. 6: Accept the bad days and embrace the good days. Then move on. You’re going to feel crappy some days like all of the effort isn’t worth it. If the feeling lasts a day, then you’re in self publishing for the long haul. Equally, revel in the lovely comments/reviews you get from fans and move on. You’ve got writing to do! Work with other authors. Respond to their requests for help. Make your blog available for guest posts, interviews. Be a stop on a blog tour. Do not shamelessly self promote your work on your social media channels or blog. Instead pepper it lovingly into a schedule you can time-manage. So you’ve got one book. What now? Write the next one. You are not going to reach your long term goals of writing full time with just one book. This is about building trust with your readers and if they see only one book on offer they may not take you seriously. If you’re getting into self publishing because you’ve been rejected multiple times and feel a little revenge self-publishing is due, then don’t do it. Before I made the decision to self-publish I spent a year—or more, it can take 6 months for some agents to come back to you—sending out my manuscript to agents and traditional publishers. The closest I came to an acceptance was when The Blair Partnership (representing J.K. Rowling) requested a full MS after I’d sent them a partial. It didn’t go anywhere in the end, but I came to the conclusion that traditional publishing wasn’t really for me. You see I wanted full control over what I did, not sit around waiting for someone to tell me when I could publish. I believed in my story and it had been sitting on my computer for too long. I needed to get it out there and test it on the readers. 2013 and 2014 were slow in terms of sales, but last year I saw an increase in my sales and an explosion in the first two months of 2016. I can confidently say I’ve earned more money self-publishing than I would have with a traditional deal. And I haven’t even scratched the surface. But none of that happened without investment and sacrifices I made since 2009 when I first began writing. I’m still working full time, even with the better sales. This year I am finally considering moving from full time to a part time role. I’m just too busy with the writing and I need to spend more time on it. So my advice is don’t quit anything until you’re confident your bottom line (i.e. your steady sales) can pay your bills comfortably. Editing and cover design isn’t cheap but it’s essential and you need money for that. Goodreads Description: In 2163, a polluted and overcrowded Earth forces humans to search for a new home. But the exoplanet they target, Exilon 5, is occupied. 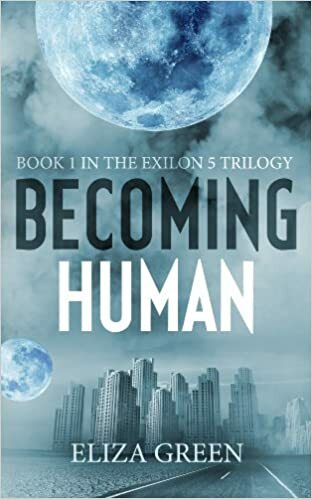 My Review: I was offered a reviewer's copy of Becoming Human by the author Eliza Green in exchange for an honest review. The book begins with a cinematic, omniscient view of Exilon 5 as it is terraformed by humans in an attempt to create a second Earth. We get to see the devastating effects of the chemicals used on the indigenous race there which sets a very dramatic tone compared to a very under-dramatic pace of the rest of the book. I really liked the ideas presented within Becoming Human: the ethical issues of attempting to eliminate an indigenous race in the name of human survival, the intelligent aliens, as well as the way the characters tried to resolve things without resorting to killing each other. Both the humans and the Indigenes take a rational approach and try to learn about each other instead of heading straight into conflict, which was really refreshing to see. Unfortunately, Becoming Human has a few major issues that cause the book to fall short. The first of which is the constant shifting of POV and the overwhelming amount of characters involved. In the beginning, I found it quite disorienting, as just as I was getting settled into a character and their story it switched to another, and another, and another, and another, which drastically cut down on my ability to care about each character. I wanted to hear more about Bill and his wife as there was an actual emotional connection there and something to sympathize with, but it kept switching away so by the time the story returned to him it was hard to focus. In that same vein, although I liked the scene of the alien and the young boy meeting, the boy's POV never came back again, in fact he had nothing else to do with the story, and thus made his POV feel pointless. Why did I get invested in him as a character with his mom, if he didn't have any sort of part in the story? The second fatal flaw was the lack of tension. There wasn't enough build up of anticipation and what attempts that were thrown in were cliches. "If only she knew what would be coming next..." Those types of lines are so overused that they don't hold any power to create tension anymore. The plot also crawled at a snail's pace, focusing more on explaining things than providing any action. I could probably sum up every action in the story in a paragraph, which is really quite scary for a full length novel. The final issue I had with the book was the simple fact that it wasn't finished. Every book, no matter where it stands in a series, must be able to stand on its own as a compete story. But Becoming Human wasn't the full story. Honestly, I believe the climax of the story (in which all our POV characters collide) should have been the inciting incident. 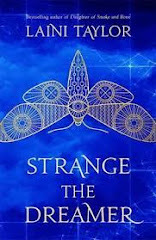 The book leaves off with several main characters racing off to find out the truth on Exilon 5, when in reality that was the story I expected in this book. It's when the story can actually begin. Coupled with the slow action and lack of tension, it felt like filler just to force the reader to buy the second book to get the story they were promised. All this book did was raise questions, and then answer a few questions no one asked, which only raised even more questions and did little to give any sense of a conclusion. TL;DR: All in all, 2/5 stars. Definitely some potential, but some fundamental writing flaws hold the story back.